Whether your legal matter involves a criminal arrest, out-of-control consumer debts or ongoing domestic disputes pointing to divorce, Memphis attorney Joseph S. Ozment is prepared to get you securely on your way to promising solutions. A resolution of your criminal charges, a bankruptcy discharge or a court order making child custody and support arrangements enforceable can bring peace of mind back to your life. You will once again be able to build toward your future. You do not need to remain mired in the legal problems that now confront you. 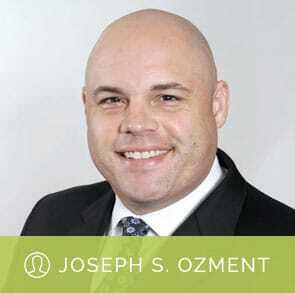 With years of experience and a very long list of satisfied clients to his name, Tennessee lawyer Joseph S. Ozment is a shrewd choice for anyone in or near the Memphis area. There is no obligation with an initial consultation – and a great chance that you will very soon understand your legal matter better and see more clearly the steps ahead that will allow you to resolve it. Move forward with determination and reassurance that answers lie just around the corner. Call 901-525-4357 or email us to schedule a consultation at your earliest convenience. The Law Office of Joseph S. Ozment, PLLC, assists clients in Shelby County, Fayette County, Tipton County and elsewhere throughout the west Tennessee area.